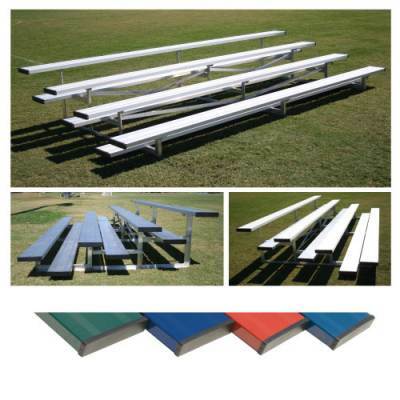 Powder Coated Low Rise Bleachers! Make walking up and down simpler on your fans with these Powder Coated Low Rise Benches! Uniquely designed frames allow 4 rows of seating without having the need for chain link fencing. Frames constructed of 100% welded aluminum angle. Seat planks constructed of anodized aluminum and won’t rub off on your clothes. Standard models include single foot planks. 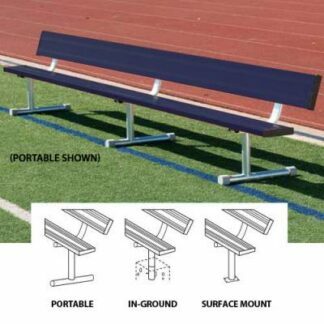 Available in 3 lengths to accommodate up to 56 seats per bench. 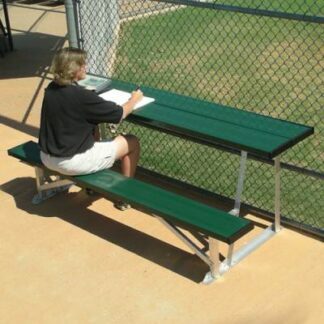 **Please check local building and safety codes to ensure bleacher compliance. 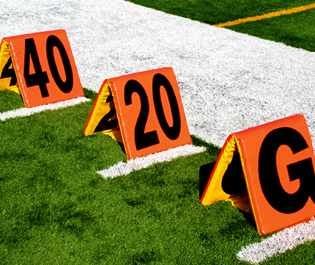 Local codes may require any bleacher taller than 30″ to have a chain-link fencing enclosure installed. Specially designed frames that allows 4 rows of seating without the need for safety fencing. Seat planks constructed of anodized aluminum or powder coated and won’t rub off on clothes!